It’s getting down to wire for Holiday Shopping. 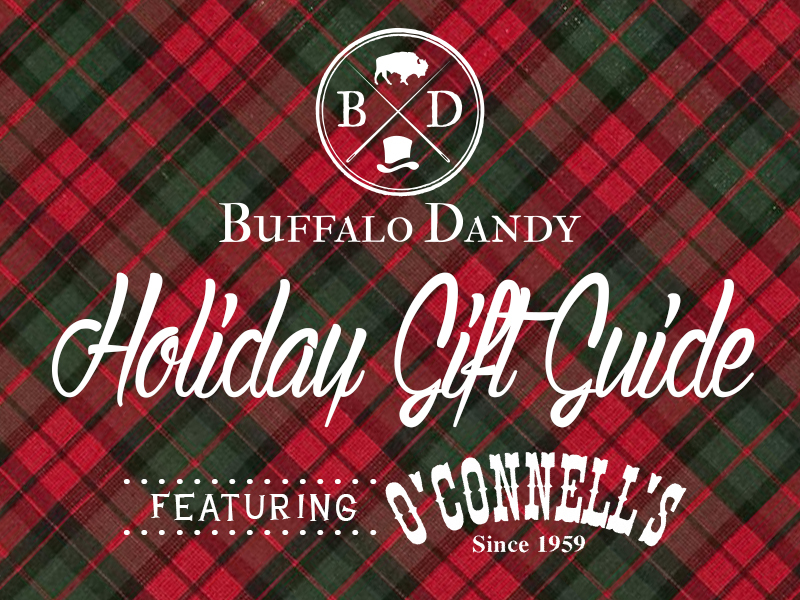 Thankfully we have another gift guide to help out in case you’ve been having trouble picking out the perfect gift for the Dandy in your life. O’Connell’s is not only a favorite spot here in Buffalo, it’s also a recognized and revered #menswear mecca across world. Full of old and new classics, O’Connell’s store is perfectly curated for the dapper gentleman of refined style and for those who love well made things. While jackets, sweaters and shirts are in no short supply, O’Connell’s very own custom designed Smathers & Branson needlepoint collection has been high on the want list for quite some time. Let’s also not forget their vast collection of bow ties and other accessories, making O’Connell’s a perfect stop for full on presents or stocking stuffers.